I Simply draw the line and colored this short comic. 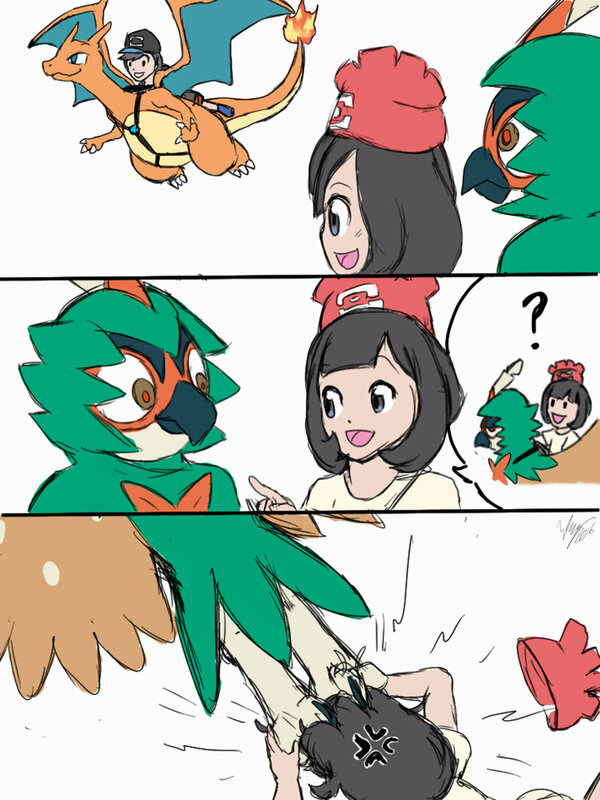 Trainers, Charizard & Decidueye by Pokémon, Nintendo, GameFreak. It's a land-owl. Think of it like a land-shark, but with wings! ow my god poor girl kkk.